Is your site slow, plagued by recurring problems, extension compatibility issues, general unreliability, or all of these things? Are you frustrated about the level of progress that your site is making? Your website is the foundation that your business is built upon. Therefore, it makes sense to take proper care of it. On Tap's platform and code audit service was created to help merchants understand the true state of their website code, and to give them actionable insights that can improve their site and their business. We perform platform audits for Magento, BigCommerce, Shopify, OroCommerce and Akeneo. An audit reviews your site in order to determine how it is built, what inherent problems it might have and how these can improved in the future. We believe we have created the market's most comprehensive audit service. We analyse the code on your site to determine its strengths and weaknesses. We check the entire code-base, including customisations. We check the hosting infrastructure that your website is hosted (if relevant) in order to determine performance, security and scalability. For Magento and OroCommerce, we compare the site code with the original code from the version of the platform the website was built upon. This process highlights any 'core code modifications'. Any that are found are generally considered to be bad practice and will inhibit your ability to upgrade your platform in the future. We provide a working plan to re-engineer these 'hacks' into a best practice piece of code. 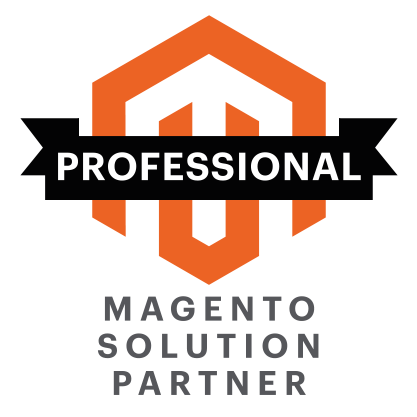 For Magento and OroCommerce, we check the site's code and extensions in order to determine the effort required to upgrade the site from its current version to the latest version of your platform. Code analysis is performed on third-party extensions to ensure that coding best practices with regards to performance and optimisation are being observed. Our knowledge of a huge number of modules/add-ons/extensions provides useful insight into bad code that you might be using. Performance analysis can be performed on the site as a whole, and this can provide actionable opportunities to re-engineer code to improve site speed. Front-end themes and template code are checked to ensure that they conform to best practice. We check CSS and JS, and look for opportunities to optimise browser speed performance. The database is analysed to check for underlying problems. The site's structure and HTML can be examined for SEO best practice. Access to your site analytics enables us to analyse site usage and behaviour in order to provide advice for improvements to the customer journey. Is your site able to cope with increased load? Not sure? We can tell you the point at which your current infrastructure begins to lose its scalability. We can look at all your site's current integrations with third-party systems to determine any improvements that can be made. The platform audit will investigate the setup and configuration of your hosting platform in order to identify any issues that need to be addressed. We look at the security of your site to ensure that it not only conforms to best practice and has the latest security patches installed, but also enables you to improve your PCI-DSS compliance. How is the audit done? Typically, you will provide us with access to your site's code and database. This is handled confidentially and we can either audit the code in-situ or, preferably, we securely transfer a copy onto our server cluster where our work is done completely separately from your live platform. Our work then begins and we analyse as much or little as you require us to. We provide you with a written report after an agreed amount of time. What will my audit report contain? The audit report that our team produces varies from audit to audit - depending on the depth of analysis that the client wants us to undertake and also the number of issues that we find. We document all the issues individually, and this is to the level of detail that the site's existing developers can action. This is an important point of our audits - the output documentation can be considered to be self-contained and agnostic. It is not simply a case of us alluding to improvements that we can make under separate contract - it is a supplier agnostic document that is as independent as is possible. The amount of time we dedicate on your audit depends on your needs, the level of depth you wish us to investigate to and your budget. We can typically start within a few days of your instruction. On Tap's team consists of certified developers and solution specialists, which means that your site is analysed by experts with a depth of understanding suited to the process. We understand what it takes to support ecommerce sites, so our experts ensure that your audit is not only useful but also actionable to ensure that we deliver value in the audit itself. Can On Tap take over the support of our site? Yes. An audit is the first step to having On Tap take over the support of your site. We have done this on many occasions and we are well known for our ability to successfully support sites. Please visit our support services page.